Is looking at your smile leaving you wishing your teeth were whiter? You’re not alone. The good news is that whitening your teeth is as easy as visiting your dentist at Dental365. Read the tips below from the dentists at Dental365 to find out if whitening is right for you. What is the difference between over-the-counter and in-office whitening? In-office whitening products are a more concentrated bleaching agent than the take-home products. The types you can purchase in a pharmacy can be effective, but will take longer than what you will find in a dental office. What type of in-office whitening does Dental365 offer? Dental365 is currently offering Zoom professional treatments. Three to four 15 minute sessions can bring you anywhere between 3-6 shades lighter. In-office tooth whitening can last up to 2 years depending on your habits and routines. If you're a smoker or heavy coffee or tea drinker the results may only last a few months. It is also strongly recommend you continue to have regular cleanings and exams by your dental professional at Dental365 to keep your smile at its brightest. What should I do when pain and sensitivity occurs after whitening? We recommend a mild over-the-counter pain reliever along with a fluoride gel which will be provided at the time of your whitening procedure. This combination can keep the sensitivity down to a minimum. 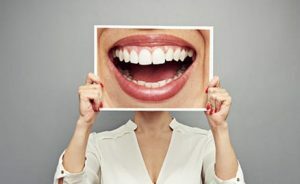 If you would like to make an appointment for whitening or any cosmetic procedure, please call 844-365-DENTAL to connect with the Dental365 location near you!